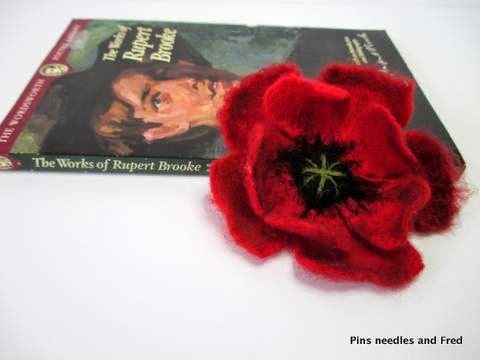 Poppies, workshops and fabulous felting! I love Autumn; its a time of nesting, gathering ripe blackberries to create jams and jellies, pickling onions and cucumbers: the anticipation of cosy nights by the fire crocheting or knitting while the cold nights stay outside the warm glow of the windows. 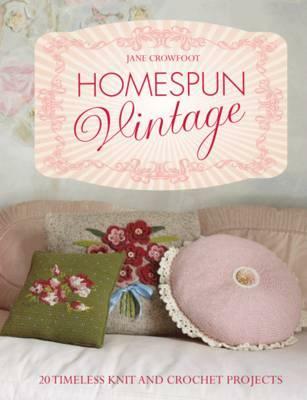 The summer activities are winding down, my focus turns to creating a comfortable cosy home, and crafting. 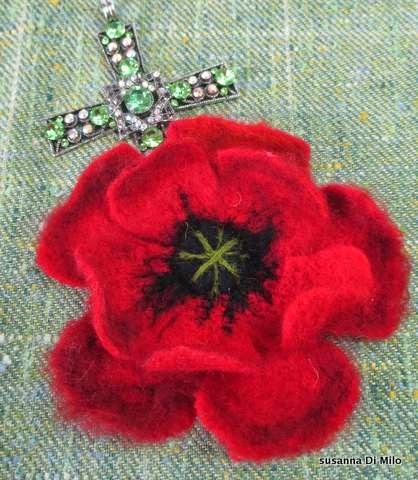 I have been speaking to Clothkits and Eternal Maker about running workshops, the first of which will be needle felting poppies for remembrance day in November. Its the centenary of the start of the first World War this year, the BBC have been running such interesting programmes about the lives of ordinary men and women a hundred years ago. Yet in recent years, we are still seeing soldiers return home injured or worse, it has begun to feel less like history, and lamentable that we are still engaged in conflict today. I hope to give a donation to the Poppy appeal as it is such a great cause. 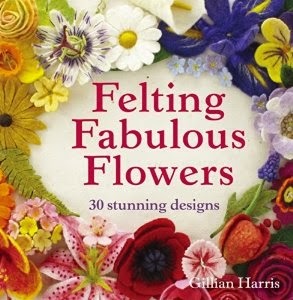 If you would like to try this yourself, I can recommend Gillian Harris’s book Felting Fabulous flowers, the projects are delightful and the step by step instructions are easy to follow. You can purchase a copy on amazon.